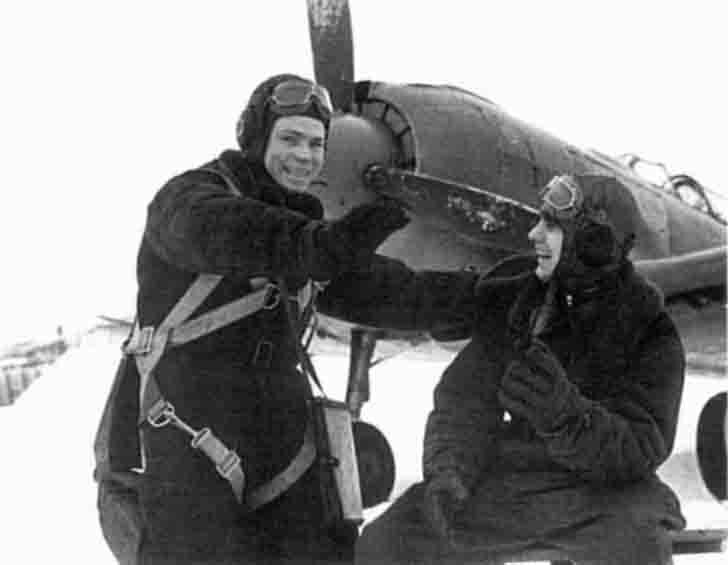 Soviet pilots posing next to La-5F fighter. La-5 – single-engined fighter, designed by OKB-21 under the leadership of S.A. Lavochkin in 1942 in the city of Gorky. The aircraft was a single-seat monoplane solid wood design with retractable landing gear and an enclosed cockpit. The original name – LaGG-5.